It’s an unfortunate fact of life that when recruiters sift through a pile of CVs they are often looking for reasons not to call people to interview. To recruiters typos and spelling mistakes stick out like sore thumbs. We’ll make sure your current CV is presented in perfect English. This includes correcting any spelling or punctuation mistakes and tightening sentence construction for more impact. This proof reading and correcting CV service is made to your current CV. 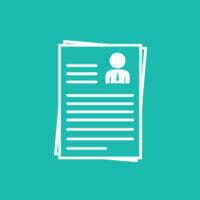 To improve the formatting and presentation you should consider our CV Makeover service. Alternatively, if you’d like to take full advantage of our expertise then you should go for the Immediate Impression CV writing service or High Impact CV for students and graduates.